Internet is growing very fast in all aspects of our lives. Social media and online shopping are becoming very popular among the common people. People are now well familiar with shopping online. Sometimes it happens that you want to buy a product which you want and the product price has some discount if you pay with a credit card. So this is the place where a credit card can be very useful for you. You can simply buy that product with less price and moreover you can convert the one time payment to an EMI which will give you some breathing space. Similarly, you can have a lot of deals and discounts with various credit cards. Here I will tell you about 7 Best credit cards with no annual fee but before that let’s get know what is a credit card? It is a card issued by bank or any financial institution, which allows you to buy anything without having money. Basically, a credit card allows you to borrow some money from a bank and within a limited period(30-50 days) you have to pay that borrowed money to the bank. What are some important benefits of a credit card? Now let’s quickly check some benefits of a credit card. You can have maximum 50 days of credit period which means you can pay 50 days after you buy the product or service. Now you may think of interest saving for a purchase of a big ticket item. The credit card is very useful when you don’t have the contingency amount. You can also do online shopping with EMI. Many times companies offer some extra cash back (sometimes in terms of reward points) if you use a credit card and you can get the bank loan from a credit card. You can take any insurance using a credit card etc. I have also listed Top 10 reasons to use a credit card. 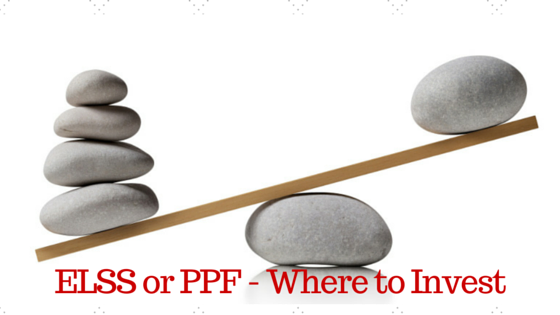 which may help you to understand the benefits of using a credit card in layman’s language. A free credit card means that a credit card with no annual fee or no extra fee. You will have to pay only that amount which you use for shopping or any other work. But there are some companies which take charges for every year using a credit card so make sure you do proper research before taking a credit card. Here we have mentioned 7 Best credit cards which are free or without any annual fee but every company has there own terms & conditions. As its name mentioned, Citibank Rewards Domestic credit card is famous for its reward program where you can earn 10X reward points by doing online purchase on Flipkart, Adidas, Jabong, Yatra and many more. It also provides a welcome gift of 2500 reward points for using your credit card for a very small amount within the first 60 days. What makes this credit card special is its reward point redemption program where you can redeem your points for some online coupons and vouchers like Amazon, shoppers stop, Nike and many more. If you want to redeem the points that you earned on the card, you get a lot of options like air miles, cashback offers, premium merchandise, online shopping, fuel purchase, gift vouchers, etc. Along with these benefits, the card is also loaded with lots of other features like the contactless facility which allows you to pay with your card at merchant locations in a very safe and very secure way. This feature allows you to pay for any transactions up to Rs.2,000 simply by tapping the card at merchant terminals even without entering the PIN. This credit card also brings to you the services of a concierge who will guide and assist you in your travel bookings and hotel reservations, etc. You can get 1500 Reward points for using your card first time within 30 days of issue. Make any transaction of Rs 1000 within 60 days and you can get 1000 reward points. If you spend more than 30,000 using your credit card then you will get 300 extra reward points. If you consider embossed cards, no one will deny that SBI has some of the most beautiful looking cards in the market. This card is not an exception too. The card is issued on two platforms- VISA and Mastercard. When the VISA came with ‘VISA Platinum” written and then Mastercard also came in with “Mastercard Titanium” written. I got this card just a few days ago. Since I took a Mastercard variant of SBI Simply Save card, so when I swapped my card, I was given a Mastercard variant of SimplySAVE card. It comes in wonderful blue color with “₹” inside the design. It looks great. The card also gives the very new design of the Mastercard logo and is devoid of the “Titanium” branding. You will get 10X rewards points for spends on Dining, Movies, Grocery, and Departmental Stores. This is the biggest benefit of any credit card. If you are some of the people who have the habit of purchasing different items from local marts like Big Bazar, V-mart, etc then you will love this card because this card will provide you flat 2.5% cashback and this is a huge % as no credit card with such low joining and annual fees allows such cashback. One of the biggest advantages and benefits of holding an SBI Credit or Debit Card is that SBI regularly runs 10-15% off campaigns on big e-commerce websites like Flipkart, Amazon, Snapdeal etc in the whole year during many sales. This kind of discounts can be very beneficial for you. So you always should keep an SBI Credit Card in your wallet. I am sure many of us have definitely used these discounts in our past. ICICI Platinum Chip Credit Card is quite a basic card. ICICI bank provides this card in a very low annual fee which you can waive off by spending 50,000 or above in a single year. 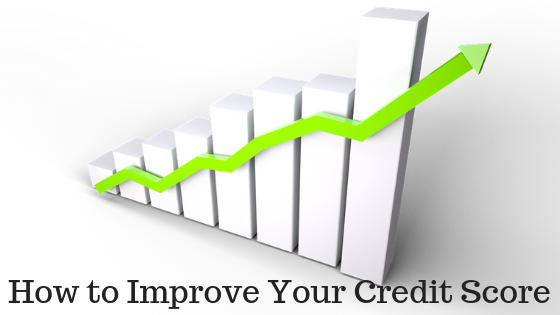 Credit amount limit will depend on your credit score and on your income and it’s up to the bank to take any decision. The reward system in this card is Payback points which you can redeem by contacting ICICI bank customer support. The amount of 1 payback point = 0.25 INR. ICICI Platinum Chip Credit Card comes with an embedded microchip inside the card which saves your card to be any type of duplication or frauds. This card provides more safety by adding an additional layer of security over the PIN, which you have to enter for offline transactions. The issuance charge and annual charge for this card are Rs 199 and Rs 99 respectively but you can surpass these charges by applying it online through ICICI bank website. ICICI Platinum Chip Credit Card does not provide any cash back and lounge access offer. 1% of fuel surcharge can be waived off by spending 4000 Rs in petrol pump by swiping your card. Like its name, it is a credit card for cashback purpose. You will get some amazing features on this card. It takes only Rs 1000 per year as it’s an annual fee but the best part of this card is that if you spend 50,000 in one year then this fees can be waived off. You can earn points every time you shop online and you will also get some additional cash back. The best part of this credit card is its approval. If you have a salary above Rs 25,000 per month then you will easily get approval for this card and if you lost your card by mistake then just contact to HDFC’s call centre which open 24 hours and tell them about your lost card then you have zero liability on any fraud transaction made by your card during that period. HSBC Visa Platinum Card is counted as one of the best free credit cards in India with no annual fee. HSBC card is for those people who want to save money in everything like on daily purchases, taking a meal, online shopping and also even in travel etc. If you purchase this card then you will get 10% cashback in every spend you made by this card in first 90 days. HSBC Visa Platinum Card is a great card which comes with so many benefits like every time cashback on any online shopping, dining out, fuel purchases and many more. But the best thing about this card is that even with lots of benefits there is no annual fee for this card and this makes it different from others. ICICI Bank HPCL Coral Credit Card is also a very good fuel variant card from ICICI. It does not provide airport lounge access and payback points on fuel purchases but it provides cash back and fuel surcharge waiver. You can save big 2.5% on cash back and fuel surcharge waiver. You can get some additional e-vouchers like bookmyshow and many more. Also You can also save a minimum of 15% on eating a meal at 800+ restaurants. ICICI Bank HPCL Coral Credit card is very similar to HPCL coral American credit card. Discount on movie tickets is another benefit of this card. In this era where everything is very fast, opting for hard cash seems cumbersome. Moving from one place to another place stacked with notes of cash feels very heavy, and is not particularly safe also. How about if you keep a small little pocket-size card that will pay for all the needs that you need in your daily routine life? That had been quite impressive, won’t it? There’s nothing useful like having a great credit card in your pocket and that’s where the Kotak Royale Signature credit card comes in. Kotak Royale Signature Credit card is a lifestyle type of credit card. This card is offering with annual fees of Rs.999 but all the annual fee can be waived off at an annual spend of 1 Lakh. The age bracket for applying this card is set between 21-65 years but the minimum age limit for the card is 18 years. The annual income of the applicant should be at least Rs 25 lakh for applying for this card but there is no maximum limit for applying for this card. But applicant must be living in the big metro cities of the nation like Delhi NCR, Bangalore, Hyderabad, Chennai, Pune, Mumbai, Kolkata, Chandigarh, and Ahmedabad. So these are some Best credit card in India without annual fee. I have personally researched quite a long for writing this article which I think surely help Investdunia readers who are thinking of applying for a credit card. You can apply any of these credit cards based on your requirement and comfort. Every credit card has some own positive and some own negative things but these cards are very affordable and beneficial in using. From the above, I personally prefer the Citibank Rewards Credit Card the most because of its brand and long history. 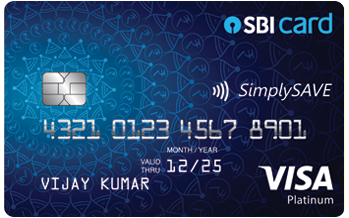 Also many credit card users like SBI SimplySave Credit Card because it is from SBI, the largest bank in India. If you liked this article then make sure you share this with your friends & family who are very confusing in choosing the right credit card for them. Your one share can solve there problem. Also, tell me in the comment option that which credit card you liked the most and your any experience of credit card, please share with us. Also if you have any suggestions for making us better then please share with me. I will definitely make better and better.